If you’re oblivious to what a decibel (dB) is, it’s the measurement of sound that companies use to rate their HVAC systems. The higher the decibel, the louder the system would be and vice versa. This is the reason why when you shop for an HVAC system you should read all the details including the decibel rating. This will help you choose which one produces the least amount of sound. Ideally, it is best to settle with a system that is rated at 60 dB or less. 60 dB equates to about the intensity of sound you would hear in a restaurant, which is not loud enough that you could take notice. Before we go any further, let’s understand what makes HVAC systems noisy to begin with. A typical HVAC system has a lot of moving parts. It’s got a motor for the fans and compressors for cooling. Now, all of these moving parts translate to vibration. And when it vibrates, it produces a sound which could, unfortunately, be loud enough to be obtrusive. Also, when the weather is quite warm, your HVAC system would operate at its highest capacity to keep the inside of your home cool. When the fans and compressors are at full power, so is the noise it generates. Look for systems that have variable speed fans, insulation mounts for compressors, insulated base pan, and noise-reducing fan blades. 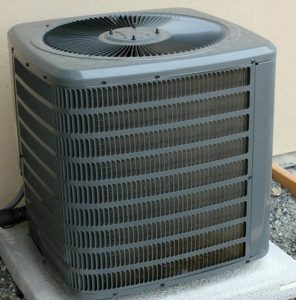 It is important to choose the right size of the HVAC system for your home. To figure this out, it would be best to go and consult with your HVAC contractor to determine the right size. If you choose one that has a smaller capacity than what your home needs, it wouldn’t really matter if it is rated at 60 dB because it will run at full speeds all the time. In general, it helps to understand how big your home is. Normally, the size of your home is indicative of the capacity your HVAC system should have. That way, the system won’t be constantly be running at full throttle just to maintain the temperature inside your home. A rule of thumb is to always maintain your system. A well-functioning system is a well-maintained one. If you religiously maintain your system, you will be preserving its efficiency and you won’t have to worry about it getting louder than usual any time soon. Also, you will be increasing the lifespan of your unit if you keep it well-maintained. Need help with your HVAC system? Give Florence HVAC Experts a call today.